You might know him better as the ‘Car Park King’ as the remains of King Richard III were found buried under a car park in Leicester in 2012. So, how did his face end up in our large-format printer? After the discovery and confirmation that the remains were indeed the historic monarch in 2013, the Richard III Society commissioned a reconstruction of Richard’s face by expert Professor Caroline Wilkinson. The reconstructed head is now on load to the King Richard III Visitor Centre, which was opened near Leicester Cathedral in July 2014. 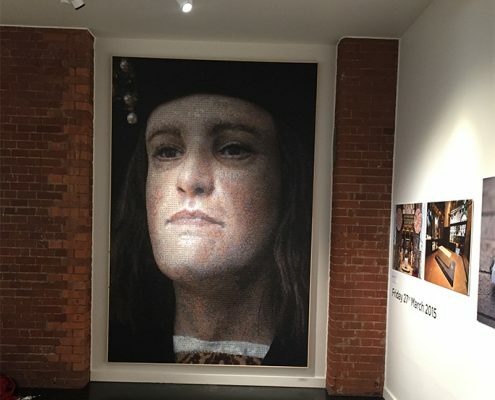 In fact, you can see the reconstruction of King Richard III’s face on a mosaic made up of smaller photographs, designed by Juice Creative Design and printed by StandOut Graphics, on display at the Visitor Centre. Juice and StandOut Graphics were able to help out again when the Visitor Centre needed a large-format ad printing for a prime position in Leicester’s Highcross Shopping Centre. 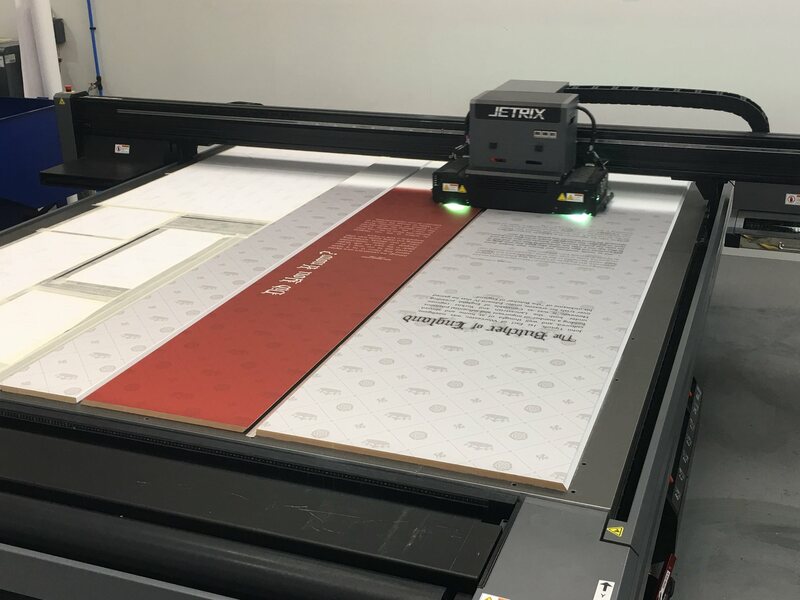 For a more detailed overview of this large-format printing project and the materials we used, see our full case study on the King Richard III brief. 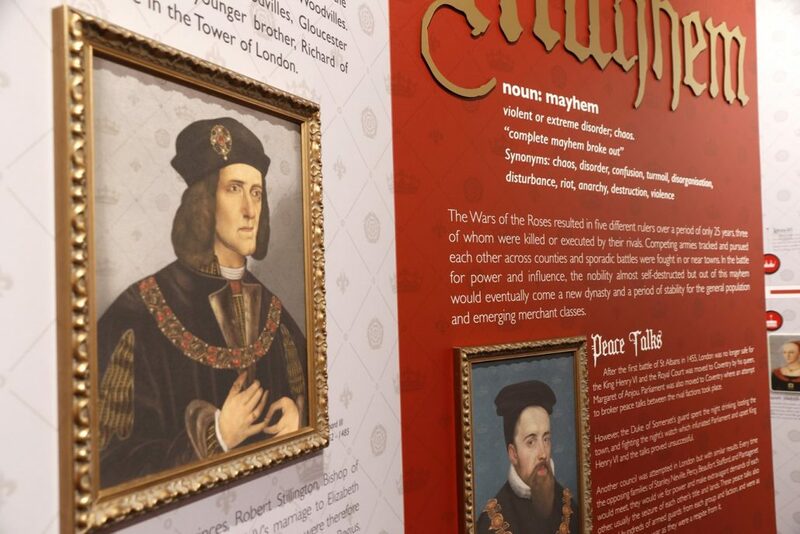 Now, a new exhibition at the Visitor Centre has opened this summer entitled ‘Murder, Mystery and Mayhem’, which allows visitors to take a deeper look at the War of the Roses. 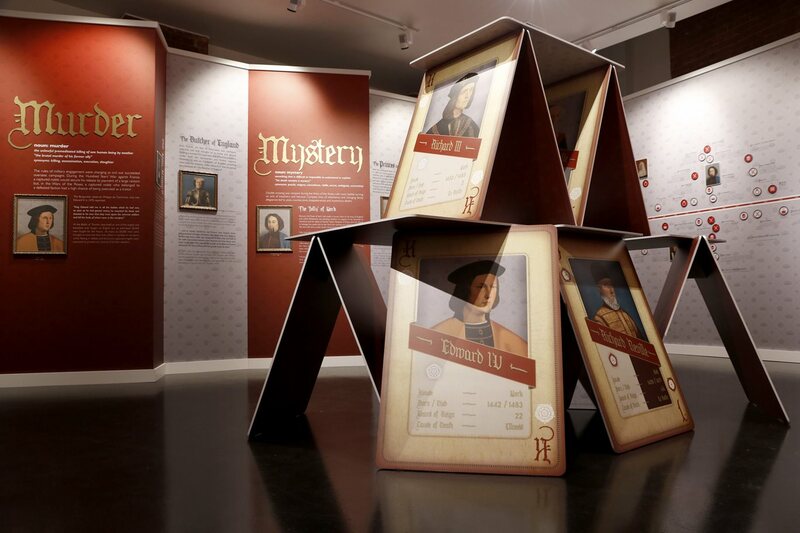 This turbulent era of English history surrounded King Richard III and his rise to power, and the exhibition materials were printed by StandOut Graphics with design by Juice Creative Design. The exhibition includes the stories behind the Houses of York and Lancaster, as well as the key characters, battles and events of the war. Game of Thrones fans might note the similarity of the house names to those of Stark and Lannister, as the book and TV series is based around the War of the Roses. There is also a ‘House of Cards’ feature, showing key players in the bloody battles and political strategies of the War of the Roses, which can be walked around, with foam cards printed by StandOut Graphics. Once again, StandOut Graphics worked with Juice Creative Design, who supplied us with a 3D visual and the printing artwork. We then worked on CAD drawings, manufactured joinery aspects such as walling and skirting and then edited the artwork to fit the wall sizes. StandOut Graphics wrapped MDF wall sheets with a self-adhesive textile wallpaper, used UV print to wrap the wall sheets on our UV flatbed large-format printer and added additional printed items in the pictures, such as canvas prints, 3D gold lettering and direct printed acrylic – all of which was done in-house. The giant ‘House of Cards’ cards were created using aluminium-faced foam board with a PVC edging, which was double-side and printed direct to the surface. Once quality check was complete, we also provided site installation, including transportation of goods to Visitor Centre site. 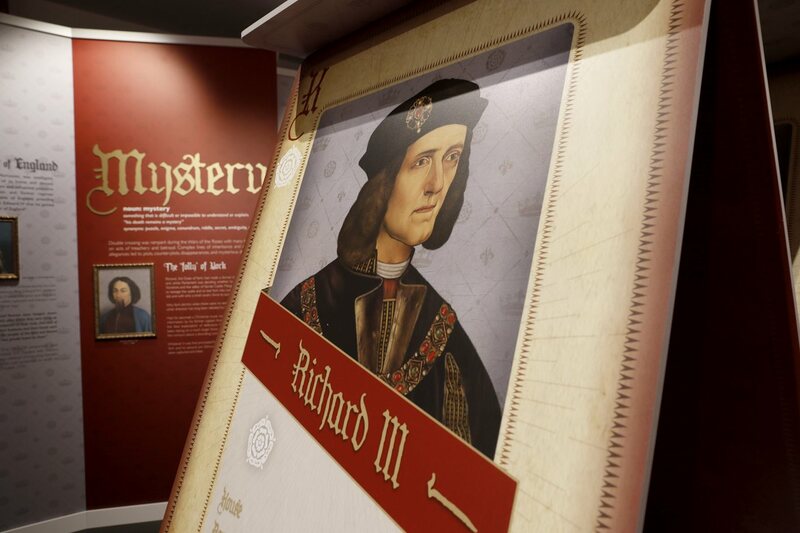 If you have the chance, be sure to drop by the King Richard III Visitor Centre to see the ‘Murder, Mystery and Mayhem’ exhibition in action, learn the complex history of the War of the Roses and see what you make of StandOut Graphics’ work on this project. For more ideas of the kinds of large-format printing StandOut Graphics can provide, visit our Services page and for other accounts of briefs we have worked on, visit our Case Studies section.